This piece is featured in the 2015 Castan Centre Human Rights Report. We will be featuring the articles on the blog throughout the month of May. The Charter of Human Rights and Responsibilities Act (Charter) allows people to complain to the courts about human rights abuses. Unfortunately, judges and lawyers have often failed to use this opportunity to better protect human rights. In 2014, Chief Justice Marilyn Warren and Justice Pamela Tate lamented that ‘[d]espite the encouragement of courts, and the support of individual judges, we continue to see reluctance on the part of practitioners to raise arguments under the Charter.’ This reluctance extends to the courts themselves. The current eight-year review of the Charter (due by November 2015) is an opportunity to address this reluctance. My research shows that this problem is particularly acute for prisoners, who are especially vulnerable to rights abuse – they are detained in a security-focussed environment, where a significant power imbalance exists between prisoners and those they interact with. 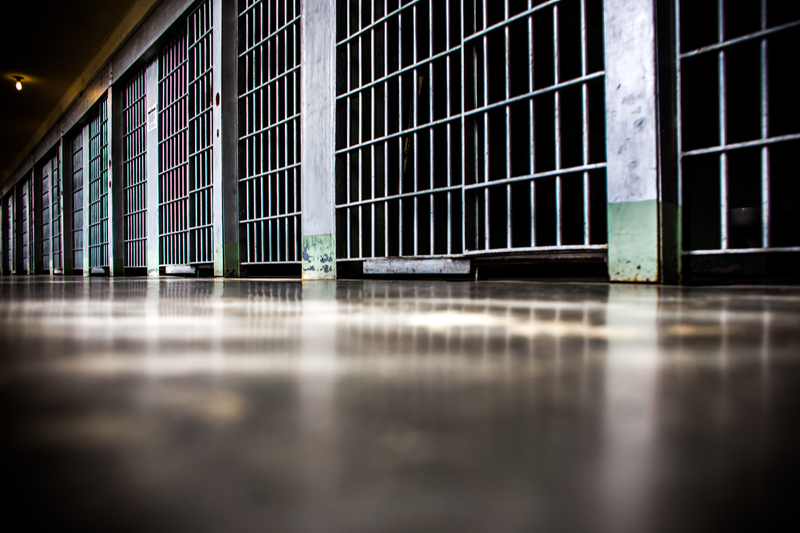 These vulnerabilities are exacerbated by unsustainable growth in the prison population, leading to overcrowded facilities and poor treatment of detainees. Prisoners have much to gain from asserting their rights, but surprisingly both judges and prisoners’ lawyers have not seized this opportunity. In some cases, courts have taken a very narrow view of rights, even in the much-lauded Castles decision. Ms Castles was a female prisoner who wished to resume in vitro fertilisation (‘IVF’) treatment she had commenced before her imprisonment. Due to her age, she would not be eligible for treatment upon her release. Focussing on the section 10 right to humane treatment when deprived of liberty, Justice Emerton decided that Ms Castles’ statutory right to the preservation of her health extended to the continuation of IVF treatment, but ruled that Ms Castles could not choose her clinic or doctor, and authorities could refuse any particular visit(s) if they did not have sufficient resources to accompany her. Although this was certainly a “win” for Ms Castles, the judge took a narrow view of the Charter. For instance, rather than adopting the usual approach of broadly interpreting the right to humane treatment while detained, and then balancing Ms Castles’ rights with the needs of all other prisoners and the safety of society, Justice Emerton simply read down scope of Ms Castles’ right due to her incarceration. Another example is the Review of Derek Ernst Percy. In 1970, Percy was found not guilty of murder on the grounds of insanity, and was detained in prison at the Governor’s pleasure. During a review of Percy’s incarceration required by a 1998 law, Percy argued that his continued detention in prison violated his section 22(2) right to be segregated from persons who have been convicted of offences, and that he should be detained in a non-prison therapeutic setting. When reviewing supervision orders, the relevant law requires restrictions on a person’s freedom and personal autonomy to be kept to the minimum consistent with the safety of the community – a balancing exercise similar to Castles. Justice Coghlan accepted this as the appropriate balancing tool, even though it focussed on the wrong rights – Percy was concerned with his right to be segregated from convicted prisoners, whereas the judge focused on Percy’s right to freedom and autonomy. In addition, when performing the balancing exercise, he did not consider the importance of the right to segregation, the purpose, nature and extent of the limitation, and the relationship between the limitation and its purpose. The relevant law also provided that a person should not be detained in prison unless there is no practicable alternative. This was the essence of Percy’s claim, yet it was not explored in Charter-terms. Ultimately Justice Coghlan decided that detention in a non-prison therapeutic environment would not be less restrictive than prison. A deeper analysis of the Charter may have led the judge to identify questions and use legal tests more favourable to Percy. In other cases, prisoner’s lawyers do not raise relevant Charter issues, or the judge avoids, minimises or misunderstands the issue. In Foster, Judge Gucciardo reduced a prisoner’s sentence because he had been held in solitary confinement for 22 to 23 hours per day. The judge had serious concerns about solitary confinement and noted that it was intended to ‘punish and degrade, an intent which after a period of time borders on the cruel and inhumane’, yet he did not mention the Charter. By not exploring the prohibition of cruel, inhuman and degrading treatment or punishment, and the right to be treated humanely and with dignity when deprived of liberty, the Judge missed an opportunity to create precedent to guide judges in subsequent cases. Similar facts presented in Collins and, although the judges sought submissions on the Charter, Collins declined to rely on it. Litigants, lawyers and judges have consistently under-utilised the Charter in prisons litigation despite the many apparent breaches of rights. It is vital that we better understand the reasons for this failure and address them as part of the current review of the Charter. The Castan Centre’s 2015 Annual Appeal is on now. Can you choose to support us with a donation?